7th Pay Commission: After these 5 gifts to employees, will PM Modi make another big announcement on August 15? Though the salaries of the central government employees were increased by 14 per cent from January 2016, the hike, as per the employees, is not enough because of the rising cost of living and high inflation. The Narendra Modi government has offered five different benefits for the government employees during its fouryear rule, but is there anything more it could offer to appease them? 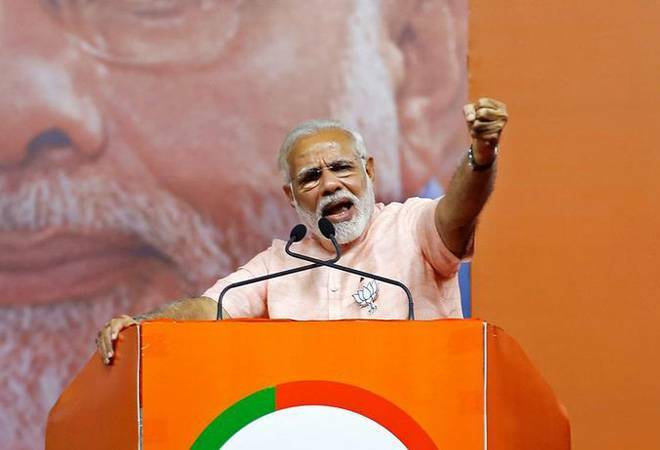 Speculation is rife that the BJPled government at the centre would make two big announcements on Independence Day, which would set the stage for the upcoming Lok Sabha Elections in 2019. The announcements are speculated to be pay hike beyond 7th Pay Commission recommendations and increase of retirement age to 62. This could well be PM Modi's trump card to bring over 1 crore central government employees a voter base no party would want to squander to the BJP fold. Though the salaries of the central government employees were increased by 14 per cent from January 2016, the hike, as per the employees, is not enough because of the rising cost of living and high inflation. They have requested the government to increase the 'minimum pay and fitment factor' beyond the recommendation of the 7th Pay Commission, but the centre, so far, is tight-lipped. That the Modi government has done a lot for the employees can't be ignored. From the implementation of the 7th pay commission to an increase in the salaries of rural postal employees and a hike in deputation allowance, there are several benefits the present government has given to make them happy. The government has not increased the minimum pay of around 50 lakh employees, but has given the rural postal service employees a reason to cheer by giving them 56 per cent raise in their salaries. In this month's Cabinet meeting, the government decided to raise the salaries of the part-time postal service staff in rural areas by 56 per cent. They will get the arrears from January 1, 2016. In 2016, the centre increased the allowance of central government employees on deputation from Rs 2,000 to Rs 4,500. Ministry of Personnel, Public Grievances and Pensions has said that those who are employed in the same area would get 5 per cent allowance of their total salary, which can go up to Rs 4,500 a month, while those serving on deputation in other areas would get 10 per cent allowance of their actual salary up to maximum Rs 9,000 a month. In October 2017, the centre government, implementing the recommendations of the 7th Pay Commission, increased the salaries of over 8 lakh teachers of the Universities Grant Commission (UGC) and the UCG-financed institutions. These employees would get salaries between the range of Rs 10,400 and Rs 49,800. In June 2016, the government increased the minimum salary of the central government employees to Rs 18,000. Finance Minister Arun Jaitley at that time had said the employees would also get arrears in January 2016. These employees have requested the government to increase the minimum pay from Rs 18,000 to Rs 21,000, though the government is yet to take any decision on the matter. Union HRD Minister Prakash Javadekar on Tuesday said the centre has revised the pension of retired faculty and other non-teaching staff in central universities and colleges under the 7th Central Pay Commission, which would benefit around 25,000 pensioners. He added they would be given benefits to the tune of Rs 6,000 to Rs 18,000. Besides, the decision will also affect over 23 lakh employees -- retired from state universities and affiliated colleges -- who have adopted the prescribed pay scales.